In 2013 Henley was diagnosed with Ehlers Danlos Syndrome and learned that this new diagnosis was the cause of her severe muscle tone issues, joint laxity, and chronic pain in her arms and legs. Henley began horse therapy in August of 2015 and begun showing improvement in her strength and stamina. In 2016, family members, friends, teachers, and therapist began expressing concern. It seemed as if Henley's parents were not the only ones who began noticing some of the previous neurological symptoms returning, as well as some new ones. Henley is currently battling daily pain and numbness in her hands and feet. She tires easily and has difficulty walking long distances. Henley has frequent headaches, major speech concerns as well as significant motor planning issues that affect her ability to perform normal functions. She has also begun having some difficultly swallowing. Henley is the sweetest 7 year old you may ever meet. Through all of her pain she is constantly smiling. 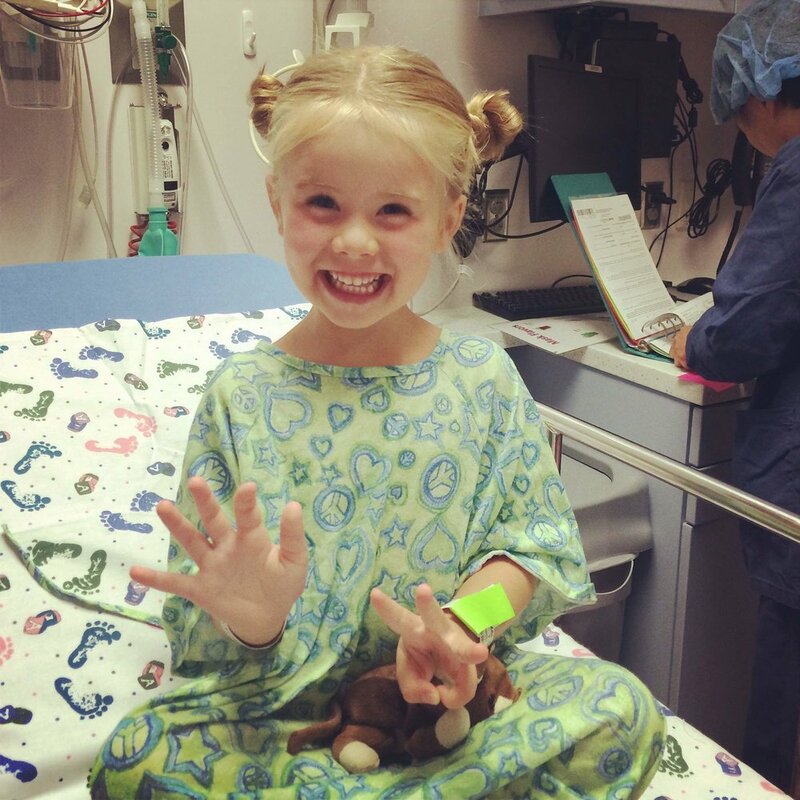 Henley was diagnosed with Chiari Malformation at 9 months old and began having significant neurological symptoms at 18 months old. She suffered a major round of seizures in October 2011 and was hospitalized for several days to undergo extensive testing. In December 2011, she was diagnosed with an extremely rare genetic deletion called 16p11.2 which causes neuromuscular, speech and learning difficulties. At this time she is one of only about 500 people in the world to share this same diagnosis. Henley's health began declining rapidly from age 20 months - 25 months and she underwent brain surgery in January 2012 in an attempt to relieve her symptoms. Most of the symptoms resolved following the surgery and it appeared that all was well. Henley underwent a battery of testing in the fall of 2016 in effort to pinpoint exactly what was causing the new symptoms. The family sought out the expertise of a top pediatric neurosurgeon in New York City at the Weill Cornell Brain and Spine Center who specializes in Chiari and Ehlers Danlos Syndrome. It was determined that Henley would need a second brain surgery to relieve the pressure on her brainstem. The surgery took place on March 8th in New York City. The family was in NYC for a little over two weeks recovering from her surgery. During that time Henley's mother Leslie also had to have an emergency surgery for a life threatening kidney aneurysm. Because this family knows all too well the kind of needs and challenges a family faces when traveling away from home for treatment, they felt the calling to start turn what was a private fundraising effort into a non-profit where they can continue to raise awareness and raise money to help other families facing significant medical challenges.